We LOVE to hear from our community - whether it’s regarding a class you’d like added to our roster, a collaborative concept you’d like to explore, or whether you’re interested in participating in our education efforts, we wanna hear from you! Cook Space, a Brooklyn-based Culinary Studio with a focus and mission on building Culinary Confidence, is looking for a dedicated marketing associate to join our small team to develop sales plan and strategy, nurture partnerships, and be instrumental in the commercial success of our Life Beyond the Recipe vertical and fully realize the value of our Seize Your Days planner. We are seeking someone with experience in developing business units, marketing plans, and that is passionate about the pursuit of one’s best self. If the journey isn’t interesting to you — this job won’t be either! Define KPIs and conversion metrics to track customer acquisition and retention specifically for planner sales and exposure and landing page optimization. Identify marketing and community segments to engage and nurture. Ensure the web-site is regularly updated with relevant content and up to date information and coverage. Research into (and application of, where relevant) best practices in communication strategies, industry trends and local networking opportunities. This position is part time approximately 20-30 hours week to start with a two month trial period. Cook Space is a privately held LLC based in Brooklyn, NY. We offer competitive salaries based on experience, 3 weeks vacation, a collaborative, creative, open work environment, bonus and commission plans for performance and sales goals met. 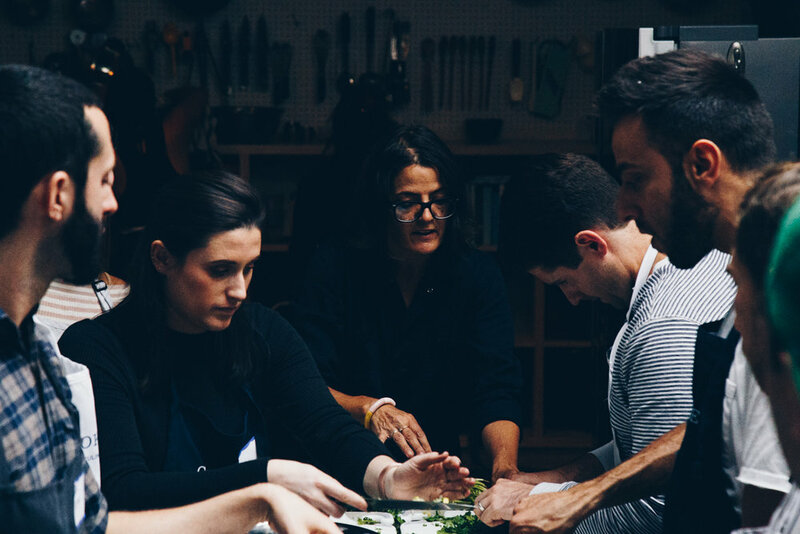 We are a passionate, fun, smart, and energetic group of individuals collaborating around a shared mission of providing tools, foundations, approaches and mindsets for success in the kitchen and beyond. After launching in August of 2018, the planner has received rave reviews and been featured in outlets such as Goop and Cherry Bombe. Version 2.0 was released after editing and workshopping the prototype via a Kickstarter campaign in January of 2019, and has since been featured as a top pick in a recent Bombe Buzz roundup. We see the planner as an innovative tool and new, fresh way of planning + looking at our lives, time and how we spend it. It’s also a natural and authentic extension of our brand. As we evaluate growth it has the potential to be a key driver in our financial success.